The month of December has been a very festive and busy month for everyone at Trellis. Even as the snow began to fell, we had a lot of work to do in our green houses in order to keep them full and flourishing in the colder temperatures. This month we were able to attend the Ellensburg Holiday Market, and sold fresh herbs, produce and herb boxes to local community members. We also produced herb box orders for friends and family to purchase. We would like to say a very special thank you to Jeff Smith, who helped us out so much this month with making the herb boxes. We also had many opportunities to have fun and take a break this month. 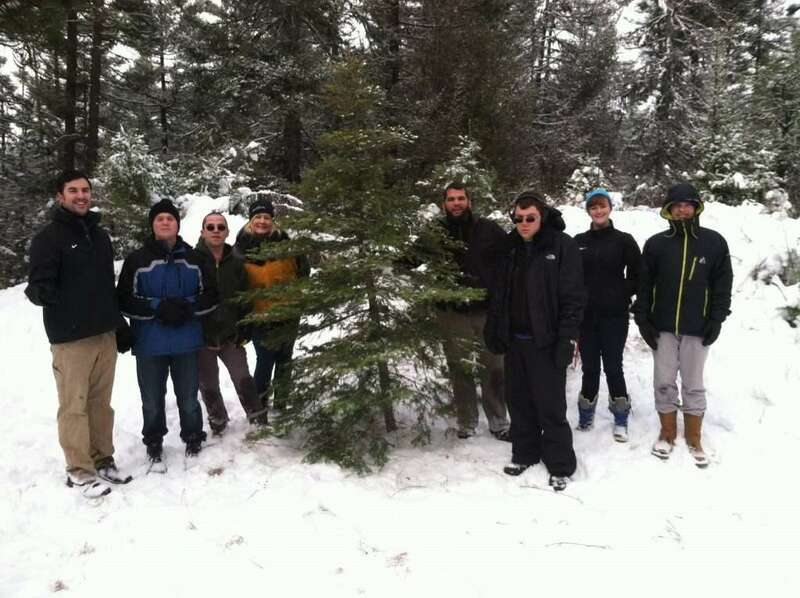 We hiked up into the snowy hills of the Okanogan-Wenatchee State Forest to find the perfect tree for Trellis. We were also able to volunteer some of our time and efforts by helping with the community Christmas baskets, as well as donating blankets that participants helped make throughout the months of November and December. As this year comes to a close, we want to extend a thank you to all those who have helped make 2015 such a great year. All the support we receive means a lot to all of us at Trellis, and we appreciate all the generosity and kindness we receive. We look forward to seeing all the growth, learning, and the excitement 2016 will bring. We hope everyone has a happy and safe holiday and new year.